I read a lot these days about our culture’s need for a spiritual revival of some sort. That assessment is generally accompanied by a recital of the ways we are, collectively, failing to reflect or exhibit certain qualities or characteristics which the author associates with righteousness. I used to agree with that. In fact, I used to write that kind of article myself. I have served as a pastor in four different churches over the course of my career in vocational ministry. In each of those settings, I took seriously my privilege and responsibility as a preacher, and I worked hard to prepare and deliver Biblical sermons that were both practical and inspirational. I am not a pastor at present, and I do not preach in a Christian worship service on a regular basis. As a result, I miss the regular discipline of expository preaching. A blog is not a pulpit, a blog post is not a sermon (at least mine are not, usually), and my readers are not parishioners in a service of worship. Still, I hope you will indulge me if, on occasion, I use this blog to share a simple, straightforward exposition of scripture. That is what I want to do in this blog post and the one to follow. One of the most gratifying aspects of writing this blog has been the opportunity to reconnect with so many men and women who took one or more of the courses I taught during the fourteen years (1994-2008) I served as a faculty member at Rosedale Bible College in Ohio. I am particularly grateful when they take the time to leave a comment or send an email after reading one of my posts. When they pose questions based on what they have read, I feel it is both my privilege and my obligation to respond to them as best I can. My last post (the third in a series of three which I called “Being Real”) prompted one of my former students, who is now a pastor, to ask several thoughtful and incisive questions. I promised him I would address his questions in this post. Here, in part, is what he wrote. I sense a growing number of people who share your concerns about contemporary American evangelicalism. … (T)he question I have is how… transformation in our churches takes place? What are the real and tangible ways we are screwing up? What systems and structures undermine our ability to behave differently? How are they undermining it? How do we serve, minister, and lead in brokenness? How do we help foster real community? I have dealt with several of these questions, or similar concerns at least, in earlier blog posts. (You can read some examples here and here and here.) Some of what I say here, then, will echo what I have said before. Some, however, will reflect a new thought which has been taking shape in my mind over the past few weeks. I could tell you that I believe God put it there and that I believe it is evidence of the spiritual gift of discernment, what some might call a “word of wisdom” or a “word of knowledge.” Instead, I think I’ll just share it a bit later and let you draw your own conclusions about its source, its value, and its relevance. No matter how you define the word church, a key element will always be people. Whether you think of the church mainly as an organization with fairly rigid institutional structure or as an informal association with little to hold it together except a common faith commitment, the essential component is still people. 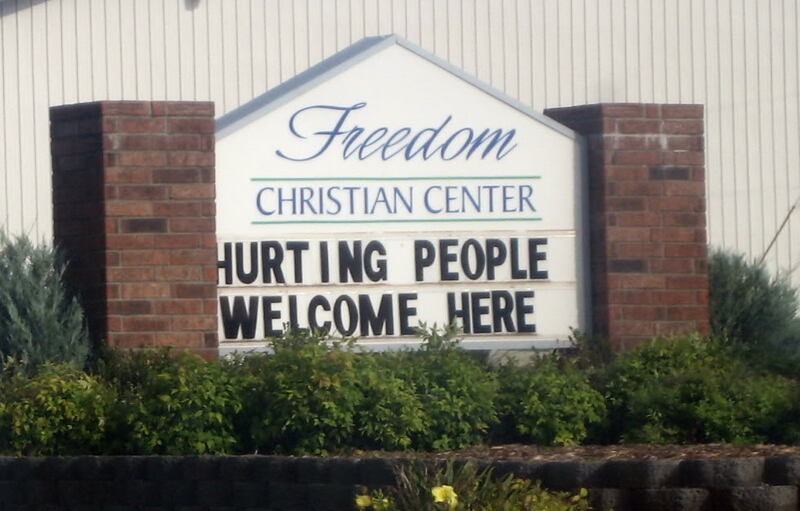 People are not perfect, not even Christians. Forgiven, yes, but not flawless. It is therefore logically inconsistent to expect perfection from an entity composed of imperfect people. The church faces an additional challenge. Not only is it composed of flawed human beings, it is also subject to another potentially debilitating imperfection—institutionalization. By that I mean the tendency of any organization, over time, to devote more and more of its energy and resources to keeping the machinery running instead of pursuing the goal for which the organization came into existence in the first place. No matter how well-intentioned and enthusiastic they may be when they are young and fresh and focused, both human beings and the organizations and institutions which they make up can run out of energy, lose their focus, and become so self-absorbed and self-important that they forget their original purpose. They begin to “major on minors,” devoting so much time and attention and so many resources to self-preservation that they lose sight of their original mission. When this happens, their efforts, no matter how hard they work, become counterproductive. This is not a criticism of organizational structure. Any group of people who unite in pursuit of a common goal needs to organize in order to function effectively and efficiently. With this post I am not joining the ever-expanding ranks of those who have given up on the church as an institution and have embraced the idea of something called the “simple” church or the “organic” church. That model is plagued with problems and shortcomings as serious as any faced by the church in its more institutional forms. This is simply an admission that, whatever form the church may take, the earthly expression of the body of Christ requires periodic renewal and revival. Sometimes the situation becomes so acute that only a thorough reformation can purge the institution and restore clarity of vision and unity of purpose. The Christian church in America is in need of another reformation. We have lost our focus. We have forgotten who we are and what we were originally designed to be and do. I still believe that the best description of the purpose for the church in the world is that put forward by George Eldon Ladd more than a generation ago: the church is the agent of the Kingdom of God. The church is where the distinctives of the Kingdom are cultivated, where we learn how to live by Kingdom values in the face o f pressure to succumb to the influence of the prevailing culture. The place where we encourage one another to hang tough, be consistent, don’t surrender, don’t lose heart. The church is, at heart, a community of Kingdom people. It is both the representative of the Kingdom of God and a compassionate community in which people feel loved and accepted and where they are enabled to heal and encouraged to grow. It is extremely difficult for churches to sustain a commitment to that kind of vision over time. The natural tendencies of creeping institutionalism dull and distort the vision. In addition, the church has a spiritual adversary whose diabolical energies are devoted to preventing the church from realizing its godly purpose as the community of the King. Unless a Kingdom vision is consistently maintained and constantly renewed, the church will invariably be blown off course. It will major on minors and will develop a defensive frame of mind which results in competitive relationships with other churches and abrasive, even hostile, interaction with the surrounding culture. 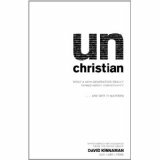 In 2007, Christian authors David Kinnaman and Gabe Lyons wrote a book called unChristian: What a New Generation Really Thinks About Christianity… and Why It Matters. The book summarizes the results of extensive research by the Barna Group in which they asked young people, ages 16-29, what they thought of when they heard the term “Christian.” The results are both enlightening and disheartening. The New Testament is clear that, when Christians pattern their lives after their King, they will cut across the grain of the prevailing culture, and they can expect some antagonism and hostility as a result. That may account for some of the responses to the Barna survey. I suspect, however, that much of the negative reaction toward Christians results from the church’s failure to fulfill its purpose, and not from its relentless pursuit of the Kingdom. The good news is that God has provided the church with two resources which, if they are properly utilized, can keep the church on course and help to avoid the collateral damage and declining influence which result from institutional short-sightedness: the Holy Spirit and godly leadership. The bad news is that the Spirit of God most often works through leaders and only rarely in spite of them. Thus the key to spiritual reformation in the church lies mainly with its leadership. For forty years I have been pointing out the foibles and failures of the Christian church in a well-intentioned effort to encourage more consistency and greater faithfulness in pursuit of God’s purpose for the church—to be the agent of the Kingdom of God in the world. I have not been very effective. The reason, I now believe, is that my energies and perceptions were misdirected. I should have focused less on the church’s membership and more on her leadership. No group of the Lord’s people will ever achieve a level of spiritual maturity and devotion to Christ which exceeds that of its leadership. If the church has failed to own and realize its godly purpose, that is fundamentally a failure of its leadership. If the church is in need of reformation, that renewal and reform needs to begin in the lives and ministries of its leaders. I had been planning, for some time, to address this important theme in my blog posts. My former student’s probing and insightful questions simply nudged me in that direction and forced me to develop my thoughts a bit sooner that I had expected. Now I’m on this path. I think it will be interesting, and I hope it will be helpful, to see where it leads. Until I was in my mid-twenties and a Bible college graduate, my perception of Christian faith and practice was mainly shaped by protestant fundamentalism. As a young pastor, I determined that the fundamentalist view of the Kingdom of God and Christian discipleship was too narrow and restrictive. I came to understand the Kingdom as a far broader and more inclusive reality than I had previously been taught, and I moved from fundamentalism to the “kinder and gentler” experience of American evangelicalism. Then, as a student at Houghton College and later at Wheaton Grad School, I observed that much of evangelical Christianity had imbibed too deeply of American culture and looked more like the prevailing culture than the Kingdom of God. I was encouraged by the historical example of the Anabaptists, the “radicals” of the Reformation, who had strongly influenced my own Baptist tradition, and whose legacy was preserved, at least in theory, in groups such as the Mennonites. My pilgrimage in pursuit of authentic faith led me to complete my MDiv degree in a Mennonite seminary and to devote a quarter century of my life to ministry among Mennonites. When I formally embraced historical Anabaptism and joined a Mennonite congregation in 1982, I did so at the expense of relationships with a network of close friends and even within my family. My friends and family professed Christian faith, but they rejected the idea of biblical nonresistance and found other elements of radical discipleship unpalatable. Identification with historical Anabaptism was costly for me. I noted in an earlier post that I have sometimes been wrong-headed but I have never been half-hearted in my pursuit of authentic faith. My experience with EAF is an example of that. For the nine years I was Executive Secretary, my strong emphasis on “doctrinal precision” built walls between believers and so contributed to divisiveness in the Body of Christ. I know that the truth of the gospel sometimes drives a wedge between Christians and those outside the Kingdom. I fear, however, that I may have encouraged division and separation between genuine believers simply because some of them didn’t articulate their convictions exactly as I did. I now believe that, while doctrine is important, correct doctrine is not enough. Paul told Titus (2:1) to “speak the things that are fitting for sound doctrine.” Sound doctrine is truth which contributes to spiritual health and wholeness. When an insistence on uniformity in doctrinal articulation, particularly a focus on orthodoxy without an equal emphasis on orthopraxy, builds barriers to fellowship between genuine believers, our doctrine may be correct—accurate, exact, precise—but it is not sound. Three years ago, on the Sunday before Thanksgiving 2008, while sitting at a corner table at Panera Bread in Dublin, OH, I wrote an essay, later posted as a note on my Facebook page, which I called “I Quit.” I remember the date because I was on my way to the hospital to spend time with my wife who was undergoing treatment for breast cancer. Actually, she was in the hospital because the chemotherapy she had been undergoing for three months had made her so sick, she needed more care and attention than I was able to provide for her at home. It was also the day after OSU had beaten Michigan for the seventh time in eight years. I wrote that essay, which I have long since removed from Facebook, to explain why I had given up on God and the church. I’d like to be able to tell you that the essay was the product of an addled mind, discouraged by circumstances, exhausted from lack of sleep, at the absolute nadir of a period in my life from which I have since emerged. Well, some of that is true. I was addled, discouraged, and exhausted. But I was not at the nadir of my despair. And while I have emerged, at least to some degree, I had no idea, at that moment, how much lower I could, and would, go. At some point, early in 2009, God got through to me. Some small kernel of truth, which had been all but buried during the darkest months of my depression, germinated and began to grow inside me. God reminded me of the words of C. S. Lewis to the effect that Jesus Christ was either a liar, a lunatic, or the Lord of Glory. My heart was still hurting, but my mind was at work. I could not deny the truth of Lewis’ assertion. No lunatic nor liar could affect the world the way Jesus had. That left only one option, and while my heart and emotions yearned for more, my brain and intellect grasped that straw of hope and held on for dear life. My faith had been restored, but I doubt that I would ever have set foot in a church building again had it not been for one thing—the liturgy. Months before, I had bought a copy of the Book of Common Prayer. We had been attending an Episcopal church off and on, and I wanted to become familiar with the liturgy so that I wouldn’t feel so lost in the worship service. I began to read the Prayer Book. It was confusing, but I loved it anyway. I read the prayers, the order of service for Eucharist, Baptism, Ordination. I came to see that I didn’t need to feel anything emotionally in order to affirm the truth of what I was reading. I just consented to the content intellectually. And slowly, little by little, the truth I was acknowledging in my mind seeped down into my heart and, like Wesley, I was “strangely warmed.” Further, what had become a reality for me in the privacy of my study became even more real when I could finally drag myself out of bed on Sunday and into a worship service at an Anglican church. The light was beginning to dispel the darkness. There is still a lot of darkness to dispel, since I had sunk to some pretty grim depths. But this is my testimony today. The liturgy saved me. The liturgy saved me.